The digital content studio Collab is continuing to expand its direct ad sales business. The company, which works with hundreds of content creators on platforms like YouTube, Instagram and TikTok, has hired Dave Rosner to serve as executive vice president-head of marketing. Rosner joins from the strategic consulting firm Visual Machine, where he was a partner. Collab first entered the direct ad sales marketplace earlier this year when it hired Art Zeidman to lead the company’s sales efforts. Rosner’s work is complementary to that, focused on establishing the company’s brand in the media marketplace and helping its roster of creators build their brands. 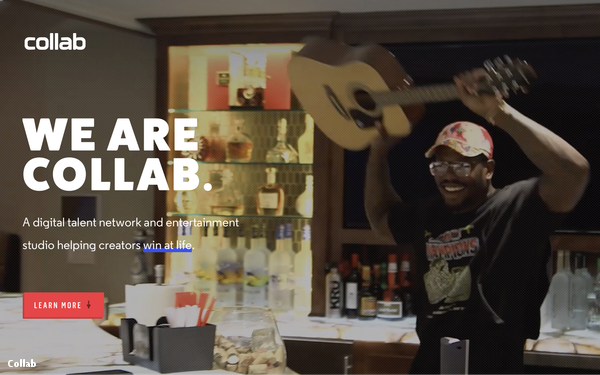 Somewhat unique among multichannel networks, Collab has remained independent and relatively small, choosing to work with a comparably small set of creators and forgoing any outside financing. The company’s roster of 300 or so creators is now in the Comscore top 10 among YouTube partners. Collab may be new to the direct ad sales game, but it is leveraging the hot button issues that have roiled YouTube over the last year to hone their message to marketers. “Because we are launching this ad sales platform now, it is built on what the hot topics are for the industry today,” Rosner says, noting that the company has made brand safety a priority. Every video is being viewed by three humans before publishing.